How will Blumpf ever recover?! 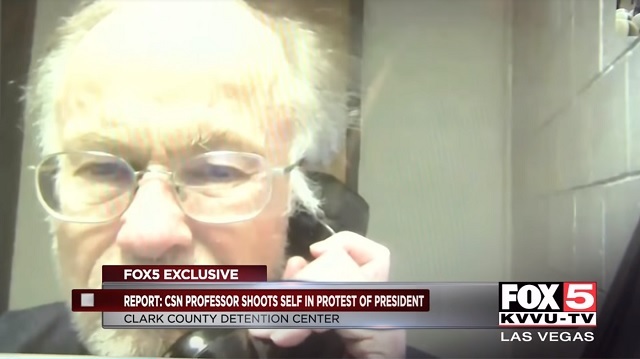 An anti-Trump sociology professor at the College of Southern Nevada shot himself on campus last month as way to protest the president, police said. Mark J. Bird, 69, was found bloodied outside a bathroom in the Charleston campus K building with a self-inflicted gunshot wound the morning of the second day of classes August 28. Inside the bathroom, was the .22-caliber handgun he used as well as a spent shell casing. Bird also left a $100 bill taped to the bathroom mirror with a note that read: 'For the janitor,' according to the Review Journal. One college employee, who was holding Bird's hand while trying to calm him in the moments after the shooting, told investigators that Bird said he wanted to protest Trump. However, the police report did not elaborate about any specifics.